Standing at one of the city's highest points, this soaring Gothic cathedral extends almost the length of two football fields and pierces the city's skyline. The church's grandeur is evidenced in its soaring vaulting, sparkling stained glass windows, and intricate carvings. The Space Window contains a piece of lunar rock presented by the Apollo XI astronauts. Fanciful gargoyles and dramatic sculpture adorn the exterior. 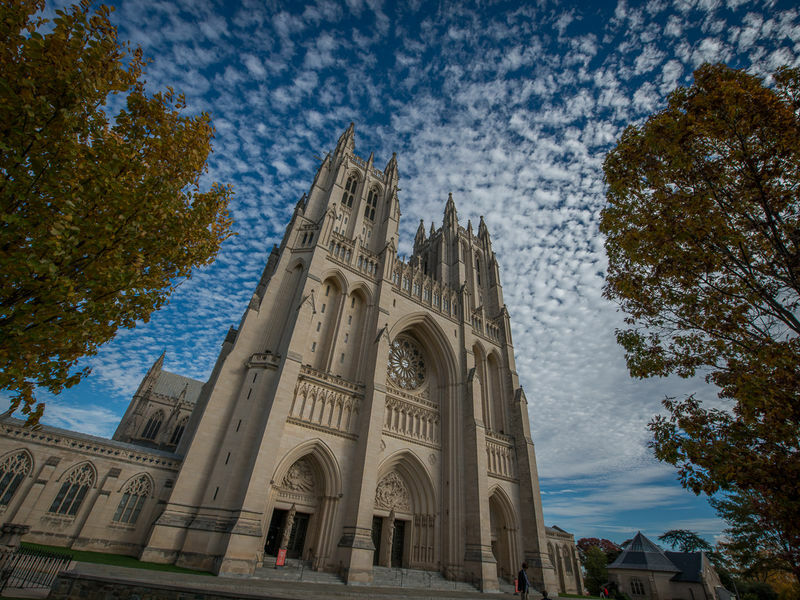 Although an Episcopal church, the Cathedral welcomes persons of all faiths and is frequently the site of interfaith and ecumenical services. 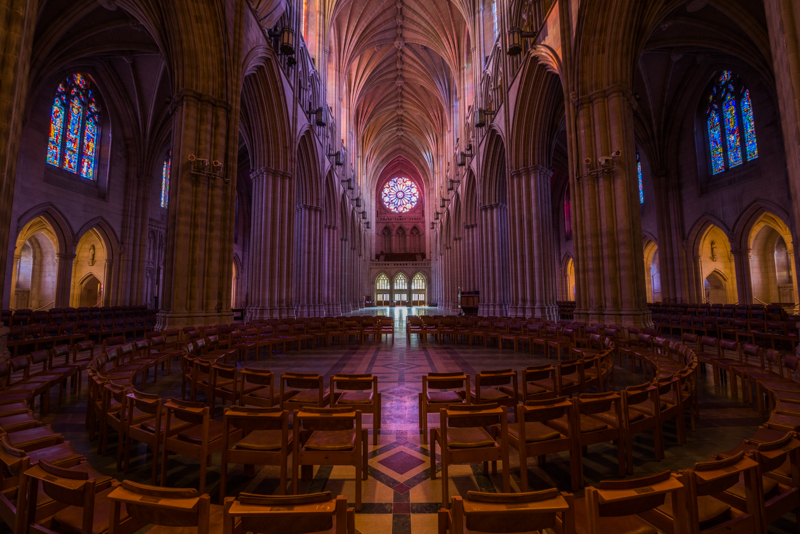 Services of celebration for the swearing in of a president, national celebrations, and mourning for the death of a leader are examples of the Cathedral's national purpose. 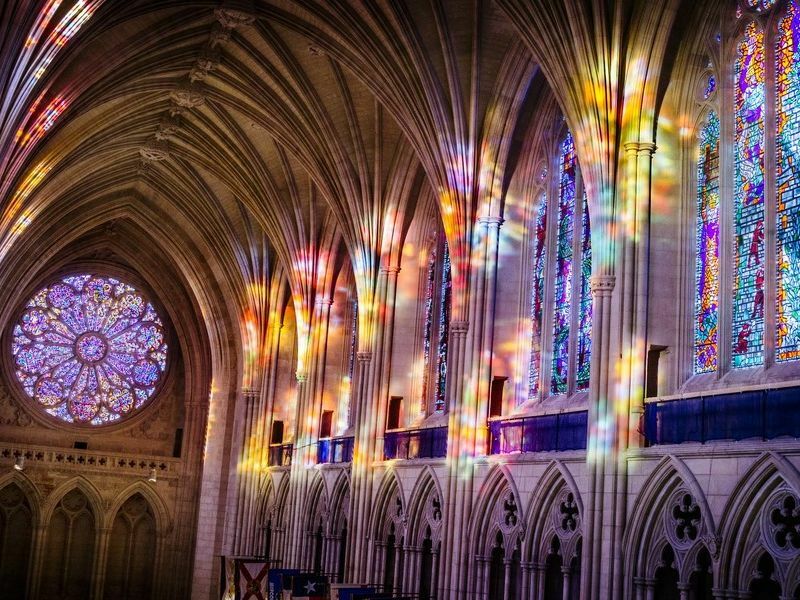 The Cathedral offers programs on spirituality, occasional special exhibits, specialty tours, lectures, monthly labyrinth, organ demonstrations, and musical events. he Cathedral is also a unique event venue for receptions, dinners, meetings and conferences.